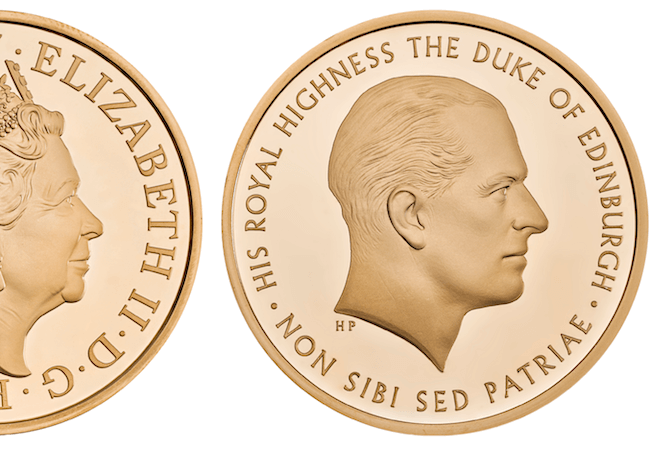 The Royal Mint has just announced a new Prince Philip Coin that will pay tribute to the Duke of Edinburgh and his record-breaking 70 years of service to Her Majesty the Queen and the United Kingdom. The Prince of Wales will be striking the very first of these coins on Tuesday 11th July. The reverse of the coin will bear an image of his Father, Prince Philip and the obverse is to feature his mother, The Queen. The coins will be available in Gold Proof, Silver and Brilliant Uncirculated Base Metal. They will be available to order from 7th August. If you’re interested you can sign up below for more information as soon as it becomes available. Prince Philip was last celebrated on a UK coin six years ago for his 90th birthday. With a mintage of just 4,599 it was, at the time, the most limited Silver Proof £5 ever issued. It is now highly sought-after by collectors and, arguably, one of the most collectable £5 coins ever released by The Royal Mint.